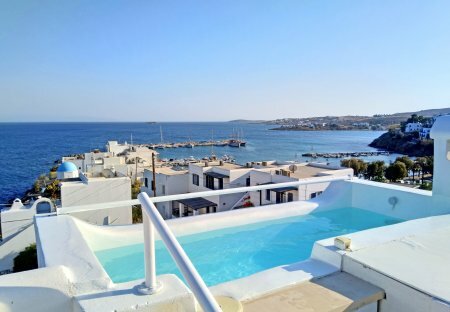 Rent villas in Piso Livadi, Paros with private pools. Book affordable holiday rentals that are near a beach. Seaside 2-storey luxury villa with swimming pool, jacuzzi, bbq & terrace! Fully equipped and very close to the beach/village's centre! (150m) Book & you will not regret!